For only the second time I made it to the London VMware User Group (VMUG) yesterday. The day was very interesting and the most exciting part for me was I got to meet some of the top VMware people i follow and chat to on twitter. The day started off nicely with my colleague Simon Phillips and I attending the optional early presentation by Alan Renouf (@alanrenouf) . His session was all about the VESI and how he has used it to create a whole load of scripts he uses in his daily life. He also announced that his “Virtu-Al.net PowerPack” has now been re-launched as the VMware Community PowerPack to allow anyone to add their scripts to the powerpack he had built up and it already has contributors from the likes of Jonathan Medd (@jonathanmedd), Armin Van Liesenhout (@avlieshout) and Luc Dekens (@lucd22) to name but a few. The VESI application is one I unfortunately haven’t had a very large amount of time to play with but it is now higher on my list of things to learn and play with and hopefully I can contribute a script or two to it once I have honed my PowerCLI skills. A very funny point of his presentation was his slide with a hypnotising pattern on it saying VMware works better on EMC products. We then had a lunch break and then the “real” VMUG started. Alaric Davies welcomed everyone and detailed the itinerary and then we got right into the first presentation by the sponsors RES Software.The product they spoke of and demoed was a was highly interesting one called PowerFuse. To not say the wrong facts etc I would highly recommend downloading the introduction guide from here and reading through it yourself. Next was a presentation by Colin Styles from Prudential all about his experiences of migrating his servers from ESX 3.5 to ESXi 4 while also migrating to a new HP blade system. His experiences were very interesting and it’s always invaluable to hear some of the problems he came across as if VMware do actually follow through with removing the COS in version 4.1 then the migrations to ESXi will be inevitable. One thing I’m glad about was that I don’t have an HP blade setup as hearing Colin and many of the other attendees numerous problems they have had with them it’s pretty scary especially seeing as how much of the market they dominate. Then Peter Polkinghorne of Brunel University spoke all about his environment and the challenges and lessons he has learnt and why he chose specific VMware technologies to storage technologies. The discussions that came off of his presentation were very interesting especially the discussions around SNMP monitoring and how he battled once he migrated from 3.5 to 4. We then had a very quick refreshment break as we were already 40 minutes overtime and then Simon Gallagher (@vinf_net) spoke all about Virtualising Terminal Server workloads and his experiences in doing it. I was quite impressed with the results he noticed from doing this and the idea is one I’ve never thought of doing before but is a perfect example of the capabilities of VMware and that even tier 1 applications are perfectly safe to be virtualised and even made more productive. Simon Townsend also from VMware then presented and discussed VMforce as it seems not many people watched the webcast from last week all about it. I won’t embarrass myself by trying to cover everything he said as there are some brilliant blogs and nice demo of it’s capabilities and feature. Parker Harris posted a blog posting all about VMforce here. We then started the interactive panel discussion. Mike laverick and Stevie chambers discussed the “egg’s in one basket” theories and how the real thing in the end is no one really notices the difference of a highly utilised host but everyone knows when a host goes down. Stevie then invited us all to come see the Cisco UCS environment which is a very exciting idea as it would be amazing to see it all in action and see it’s capabilities. We then finished due to us having overrun and those of us who could make it went down to The Pavilion end pub for vBeers. I hung around a lot longer than I planned to as I ended up chatting with Simon Long (@simonlong_) of The SLOG fame , daniel eason (@daniel_eason) ,Doug Hazelman (@vmdoug) from Veeam software, Simon Seagrave (@kiwi_si) the recent joiner to the EMC vSpecialist team , Matt Roblin (@mattroblin) ,Steve Chambers (@ Stevie_Chambers) from Cisco and Ricky Alqasem (@rickyelqasem) also from Veeam. It was really great to put faces to names and chat to them all. I’m really glad I got to go to it and hopefully I’ll make it to the next one on the !5th of July. 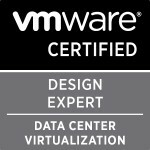 Categories: Virtualisation | Tags: london VMUG, UCS, vBeers, VMUG | Permalink.